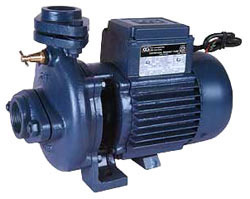 Leading Manufacturer of crompton greaves motor from Chennai. With the help of our adroit professionals, we bring forward an exclusive range of Crompton Greaves Motor. Widely used starting mechanisms are Split Phase; our offered motor is manufacture in compliance with the international quality standards by utilizing the high quality components and modern technology. We offer this motor in various stipulations at competitive rates. Looking for Crompton Greaves Motors ?